If you do your best, you can’t be accused of doing anything less. The implied caveat being that you’re doing the best you can do at the time, but it’s still your best which will likely only get better with time. So, when these thoughts surface that try to hold me down, I tell myself that this book is just the next step for the better thing I’ll do next. 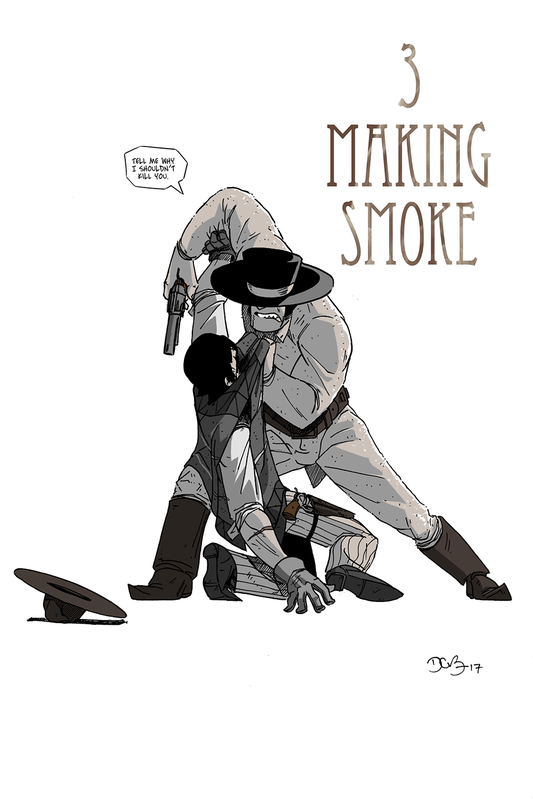 Through that lens, the artwork suddenly starts to look better and I get excited again to tell this story. Like the rest of the world, Nicole and I saw Black Panther and thoroughly enjoyed it. 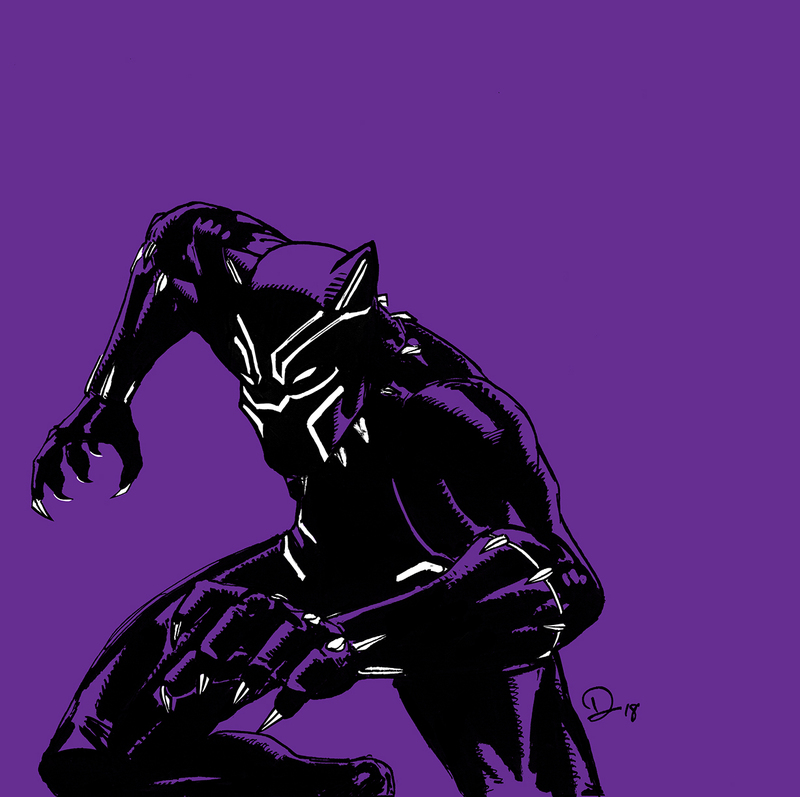 This last week, I was listening to a conversation about the movie and was inspired to try my hand at drawing in a more traditional superhero style. It’s quick and messy, but it was fun. I have been thinking lately what a “superhero style” drawing of mine would look like if I sat down and actually worked it out with rendering and what not. Since I drew this quickly (I felt guilty because I should have been coloring Long John instead of doing this), it isn’t my full effort, but I was surprised by how this turned out. 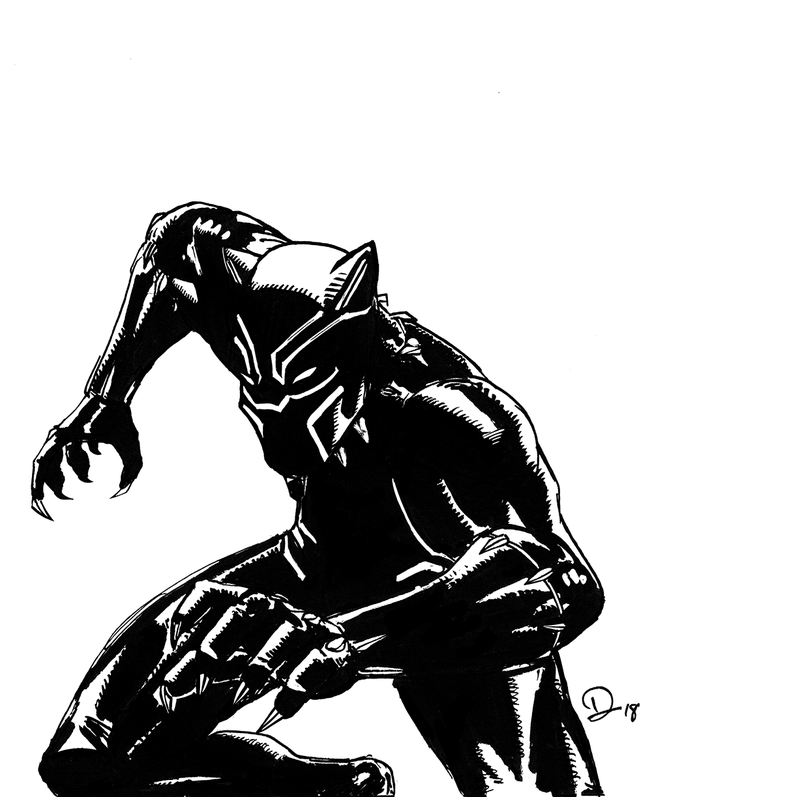 Some light color treatment on the Black Panther drawing.